If you think you know California, but haven’t visited the northern Shasta Cascade region, also known as UpStateCA, you’re missing out on some of the best outdoor recreation and natural beauty the Golden State has to offer. Situated in the sunny foothills in the shadow of majestic Mt. Shasta with the Sacramento River running directly through town, the city of Redding makes for an excellent home base for exploring the area. In the summer, Redding becomes a water recreation hot spot. In the winter, it rarely gets too cold, but the snowy mountains are just a short drive away. Here’s our list of the best reasons to make Redding your adventure hub for your next family vacation. The best part? Each activity is less than a 90-minute drive from the city center. This Redding landmark was designed by world-renowned architect Santiago Calatrava, and the glass-decked pedestrian bridge serves as a jumping off point for the city’s trail system. Using a cable-stayed cantilever system, the bridge reaches 217 feet into the sky and spans 710 feet across the Sacramento River—and yes, it works as a functioning sundial! 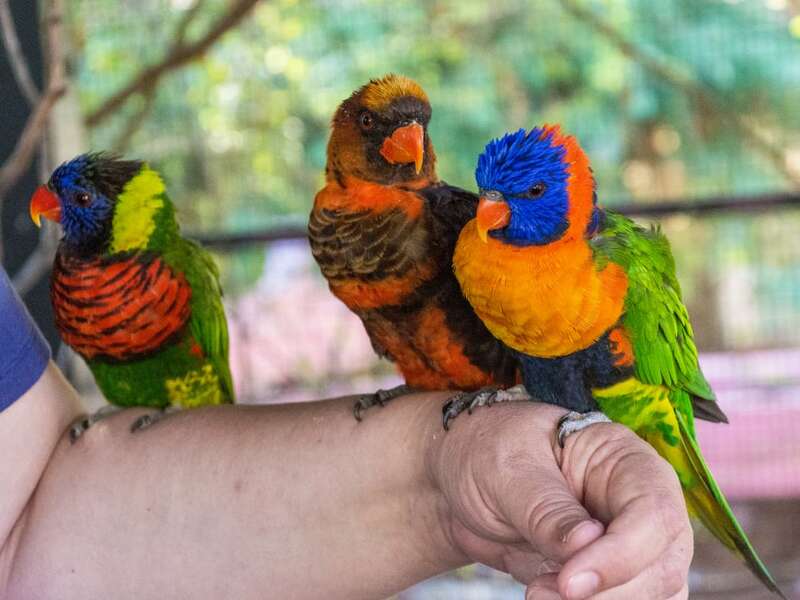 This sprawling indoor and outdoor park is home to a natural history and science museum, botanical gardens, live animal exhibits, butterfly gardens, and walking trails. Playgrounds and interactive exhibits will entertain the younger kids, while the older ones will love the miles of trails on the property. Start with the indoor exhibits, which include an aquarium with fish from the Sacramento River, exhibits explaining the area’s rich mining history, and a river lab with information about watersheds and the nearby Shasta Dam. The museum does a wonderful job incorporating local landmarks, such as Shasta Lake, into its exhibits on water and land management, making it educational to visit before enjoying the playground of the Shasta Cascades. Outside, the Paul Bunyan’s Forest Camp is a vast area with winding trails leading to animal enclosures, play areas, and outdoor exhibits. Be sure to grab a program and look for daily shows and demonstrations. In the summer months, the majestic Mt. Shasta is a climber’s paradise, but during the winter months, this volcanic peak in Northern California becomes decidedly more family-friendly. Mt. Shasta Ski Park offers more than 400 acres of downhill skiing and snowboarding, plus tubing and cross-country trails. No matter what the season, the ski park is a fun place to explore. It’s about a 10-minute drive from the quirky town of Mount Shasta (a great place to grab some food! ), and there’s plenty of time for a summer day hike or winter ski day before returning to Redding for the night. Shasta Lake is the most prominent natural landmark in the area behind the iconic 14,180-foot Mt. Shasta. It covers 30,000 acres, and visitors can rent watercraft of all shapes and sizes, from jet skis to stand-up paddleboards to speedboats. The lake’s sparkling blue waters seem even more vibrant thanks to the red soil of the lake’s shoreline, and its fingerlike channels make it easy to feel like you are on a much more private lake while boating. For a once-in-a-lifetime experience, leave the rental kiosks behind and book a tour of the Lake Shasta Caverns. You’ll be picked up by a catamaran for a quick ride across the lake and brought to the 200-million-year-old caves for a guided tour. But Shasta Lake isn’t the only option for spending time in and around the water. Lake Siskiyou is known for its waterpark and surrounding mountain views. You’ll feel like a kid again at the Lake Siskiyou Camp Resort Water Park as you slide and jump into the water off the inflated playground. In addition to human-powered crafts, you also can rent party barges for the day for anywhere from four to 20 people—perfect for family gatherings and special occasions. Lake Siskiyou is also an excellent spot for windsurfing if you want to kick it up a notch with a little more adventure. Castle Lake is one of many remote alpine lakes that are accessible only via hiking trails. From the trailhead, it’s just about a mile to Little Castle Lake and its pristine waters. Venture farther on and take spur trails to a few other lakes and viewpoints, such as Castle Peak and Heart Lake, two scenic spots that are worth a stop if you have the time and endurance. It’s a 10-mile round trip hike if you continue and summit Mount Bradley and the many lakes along the way offer plenty of opportunities to cool off. 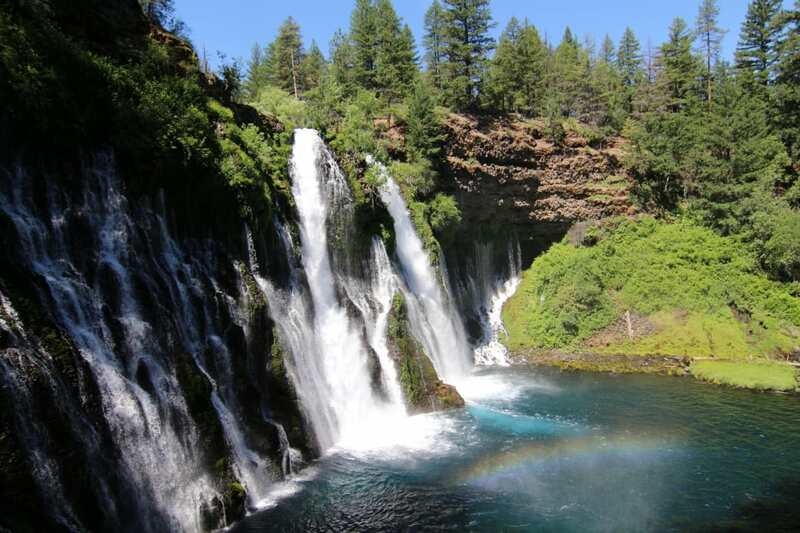 Less than 90 minutes away from Redding on Highway 89 near Burney, McArthur-Burney Falls Memorial State Park sits in Northern California’s volcanic country near Lassen Volcanic National Park. The 129-foot-high Burney Falls is stunning, and it dumps an impressive 100 million gallons of water a day. The 0.3-mile walk to the base of the falls is well worth it; at the bottom, enjoy the soft spray or dip your toes in the chilling water, which is a beautiful blue. There’s a 1.3-mile loop trail to try if you have time where you’ll be walking on part of the Pacific Crest Trail, or just retrace your steps back to the top for just over a half-mile round trip. 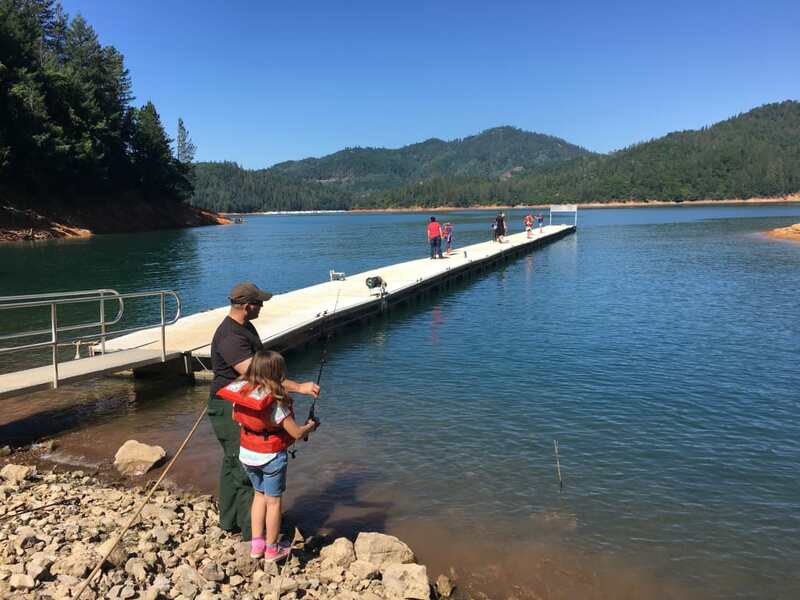 With 360 miles of shoreline, chances are you can find a place to cool off and enjoy the California sunshine at Shasta Lake, just a few miles north of Redding. This lake, shaped like a series of fingers, is also fun to explore by boat, which can be rented at the several marinas. Take out a party boat for the day and BBQ on the deck while the kids slide into the blue-green water via the attached waterslide, or stay closer to shore and rent paddleboards or kayaks. While you’re there, check out the Lake Shasta Caverns, an impressive underground display that will surely wow the kids. You start with a catamaran cruise across the lake, followed by a short bus ride to the cave entrance. There you’ll walk through a series of gigantic limestone caves and see the formations from stalagmites and stalactites. So, do you know California? It won’t take much time in Redding before you realize that this unique part of Northern California is a world all its own—and a fantastic option for a relaxing family vacation. 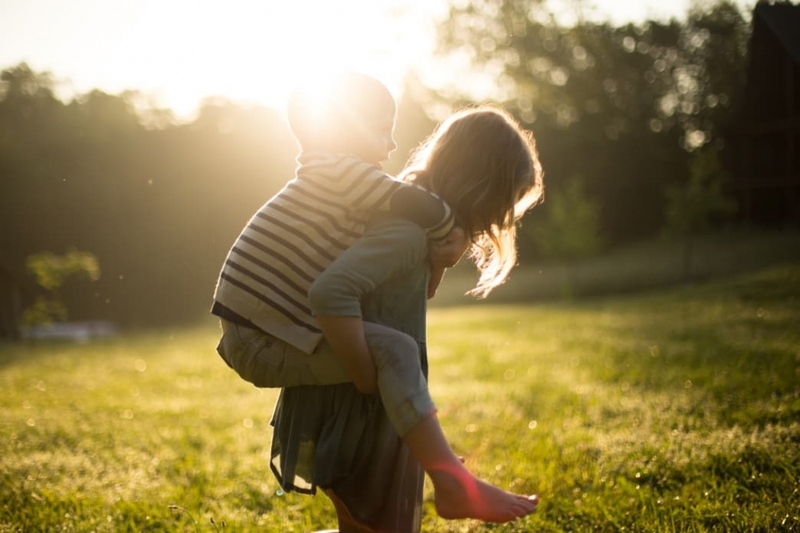 Written by Amy Whitley for RootsRated Media in partnership with Redding CVB.